The virus is even more deadly for other great apes as it is for humans, with mortality rates approximately 95% for gorillas and 77% for chimpanzees (Pan troglodytes). Current estimates suggest a third of the world’s gorillas and chimpanzees have died from Ebola since the 1990s. As with humans, these deaths tend to come in epidemics. In 1995, an outbreak is reported to have killed more than 90% of the gorillas in Minkébé Park in northern Gabon. 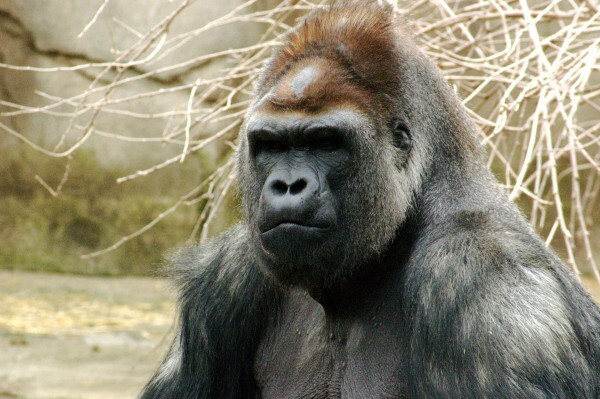 In 2002-2003 a single outbreak of ZEBOV (the Zaire strain of Ebola) in the Democratic Republic of Congo killed an estimated 5,000 Western gorillas (Gorilla gorilla). It’s hard to accurately count such elusive creatures but the WWF estimates there are up to 100,000 left in the wild – so a single Ebola outbreak wiped out a considerable chunk of the world’s gorilla population. There are of course additional factors behind the declining numbers of Africa’s great apes: illegal trading in wildlife and bushmeat, war, deforestation and other infectious diseases. The world’s remaining wild apes are being increasingly forced into isolated pockets of forest, which impedes their ability to forage, breed and to hide from hunters. There is also a growing body of evidence linking deforestation and subsequent changes in climate to the spread of Ebola and other infectious diseases. 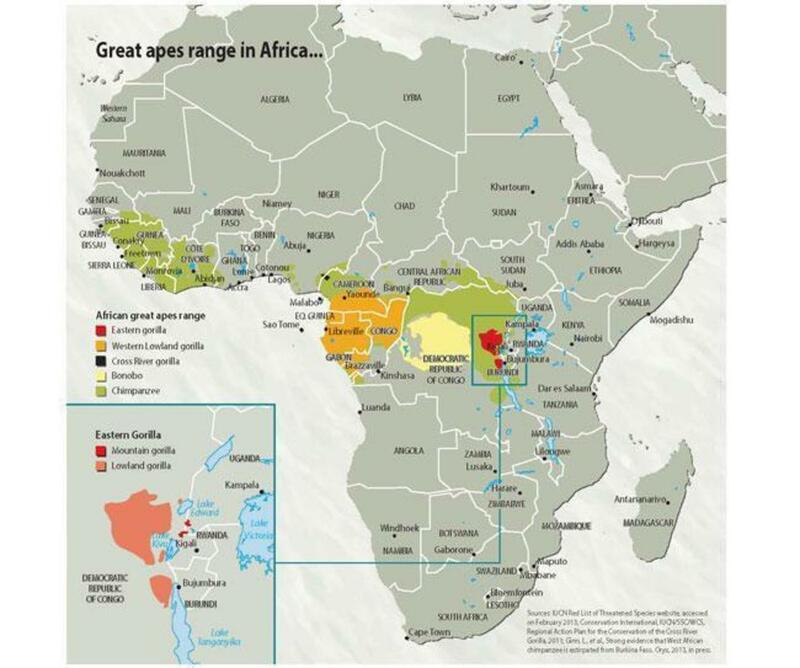 The ranges of the remaining wild ape populations in Africa. Sadly, this prediction appears to have come true. Since 2008, the IUCN has listed the Eastern Gorilla (Gorilla beringei) as endangered and the Western Gorillas as critically endangered. If we do not act fast, these may prove to be the last decades in which apes can continue to live in their natural habitat. Unfortunately, there appears to be a lack of political will to implement policies which would bring viable solutions into effect. We need both short-term solutions to halting the spread of Ebola and long-term ones to prevent future outbreaks. As a short-term strategy, vaccination could prove enormously useful in tackling the Ebola crisis in apes. Unlike for humans, a vaccine for gorillas and apes has been developed which thus far has been proven both safe and effective. To date though, these trials have not involved “challenging” the vaccinated chimps with the live virus. Across much of Europe, medical research on great apes is either banned or highly restricted because of their cognitive similarity to humans. The question is whether or not we should make an exception in this case. In the long term, conservation efforts aimed at restoring forest habitat could also help curb the spread of the virus, as larger forested areas would reduce the chances of infected animals coming into contact with one another. In tandem with forest regeneration, greater protection for apes from hunters and strict laws to control bushmeat consumption would also be hugely beneficial, both for apes and for humans.